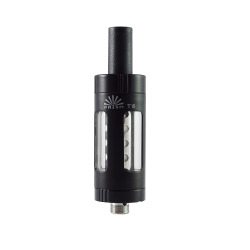 MTL (Mouth to Lung) tanks generally have a slim/ narrow design and use higher ohm atomizer coils. They provide a vaping experience that is arguably more like the 'cigarette experience'. They generally are used with higher nicotine strength E-Juices (12mg/ 18mg). MTL (Mouth to Lung) There are 3 products. Innokin Endura T18 Replacement Tank Replacement tank for the Innokin Endura T18 vaping kit. Includes a spare coil. Innokin Endura T22 Replacement Tank Replacement tank for the Innokin Endura T22 vaping kit. Includes a spare coil. Innokin Gladius Tank Gladius Adjustable Airflow Dual Coil Clearomizer.